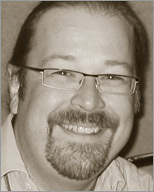 Jochen Wolters is a usability engineer and technical communicator. Besides making interactions between man and machine friendlier and more enjoyable, Jochen works as an independent writer and speaker, covering a wide range of technology and creative topics. He shares his everyday user experiences at The UI Observatory.